^ John Peters, Humphrey (23 May 1979). 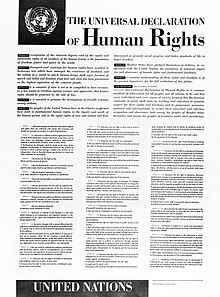 "The universal declaration of human rights, Its history, impact andjuridical character". In Bertrand G., Ramcharan. 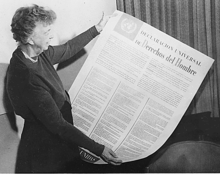 Human Rights: Thirty Years After the Universal Declaration : Commemorative Volume on the Occasion of the Thirtieth Anniversary of the Universal Declaration of Human Rights. The Hage: Nijhoff. p. 37. ISBN 90-247-2145-8.